Here in the latter days of the Christmas season, most parents are scrambling around in full panic mode trying to finish up their Christmas list while most children are impatiently counting down the days in anticipation of the arrival of Santa Claus. For most people, this would be your average traditional behavior just a few days before Christmas Eve. But in a hospital bed at Children’s Hospital one faithful yet terrified mother, Amy Mitchell and a seriously ill daughter, Emma of Oxford, AL would give anything to experience this type of normalcy. average little girl until the age of 3, a bright-eyed little beauty full of energy who reveled in the warmth, love, and comfort of her familiar surroundings. Sadly, these brief days of ‘normal’ are now bittersweet times she cannot even recall at such a young age. Is this a blessing or a curse for sweet Emma? Maybe a little of both, because she has been sick for so long now, the endurance of hospitals, needles, and pain are all that she knows. Yet what she has conquered to date is one of the most inspirational stories you will ever hear. gave her fluids which suppressed the symptoms somewhat, but Emma would still not get any better. After watching their daughter lay around lifelessly for the next couple of days, Amy’s parents made the decision to take her to Children’s Hospital in Birmingham. After examining Emma, they were once again told their daughter was only suffering from dehydration. They too, just wanted to give her fluids and send her back home. But knowing her energetic little daughter too well, Amy knew there was more to this picture. These fearful parents stood their ground until another doctor was called in and tests were ran to find the underlying problem. for a miracle and their faith would not let them down. 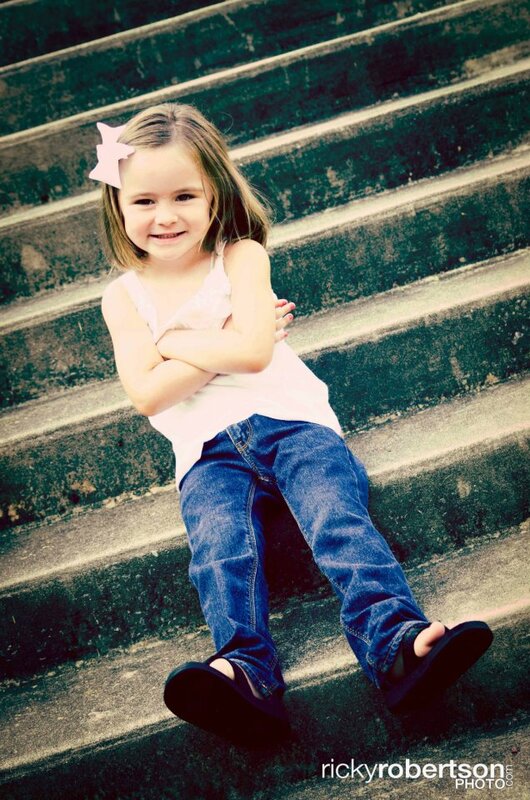 Amazingly, Emma came through the surgery with no complications and the doctors told the Mitchells they were 99.9% certain they had been able to remove the entire tumor. Within 48 hours of her surgery, Emma was back at home and would not have to undergo any type of physical therapy. Within two weeks, it was as if she nothing had ever happened, other than the scar on her head. Doctors were baffled at her recovery, yet elated. Even with the physician’s certainty, Emma still was scheduled to undergo six weeks of radiation as a precautionary measure, but would not make it to the end of these scheduled treatments before a reoccurrence would take place. When Emma began to complain of a headache just four short weeks later, Amy took her back to Children’s and further tests would reveal the worst. The tumor was not only back, but it was bigger than the first one that had been removed. The doctors were in shock, stating they had never seen a tumor return so quickly at such a massive growth. 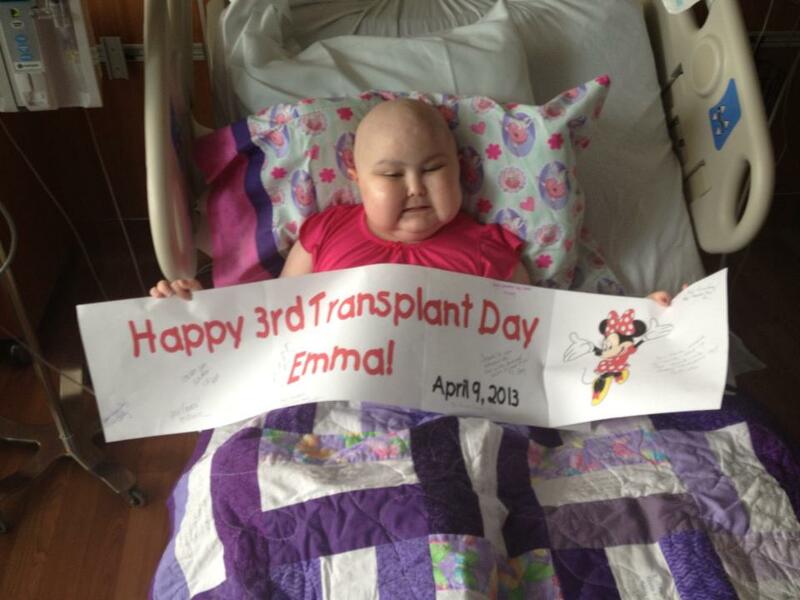 Emma would spend her fourth birthday in the hospital. Emma’s course of treatment was changed completely where her regular radiation therapy program was cut short with the new developments and was changed to aggressive radiation treatments that caused Emma’s beautiful mane of hair to fall out in just two short days. In the beginning, the thought of Emma losing her hair was very important to Amy. “I couldn’t bear the thought of my little girl losing her hair, but I think God went ahead and allowed this to happen just I could get past this to show me that this was not the most important thing there was.” said Amy. 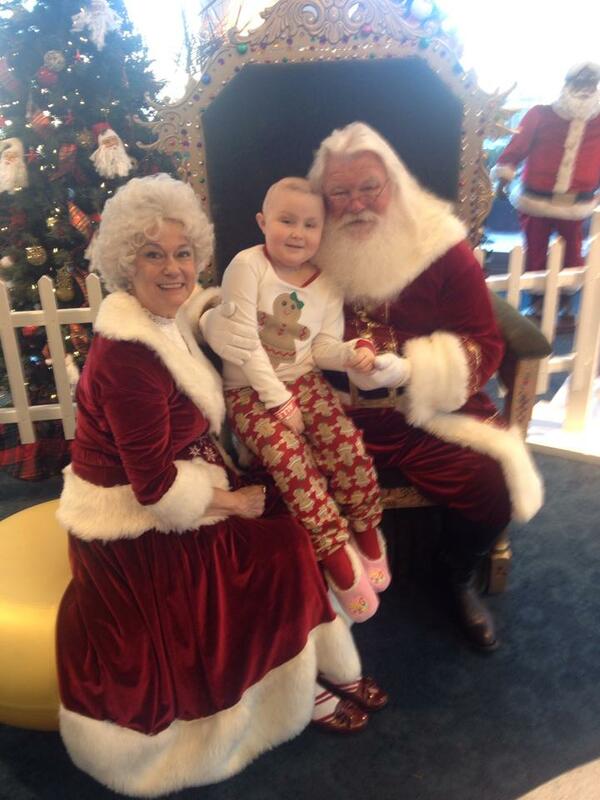 The next six weeks involved daily trips to UAB for radiation and chemo treatments, with a series of short hospital stays along the way whenever Emma would experience fevers, be given platelets and blood transfusions, or any complications with the feeding tube that had to be inserted. 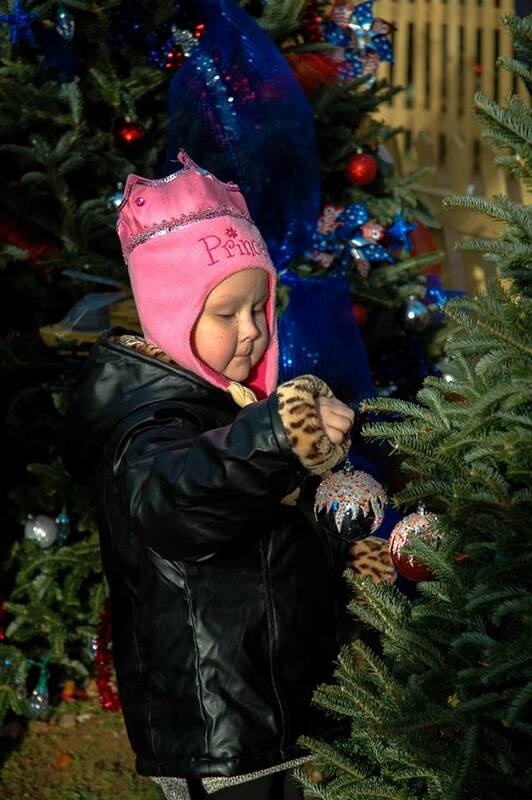 Emma’s Christmas was celebrated a week early, so she would have time to enjoy her toys before she went back into the hospital for a long stay. On Dec. 26, 2012 Emma entered into the ICU Stem Cell Unit where she was given three big rounds of chemo with stem cell transplants. In a typical stem cell transplant for cancer very high doses of chemo are used, often along with radiation therapy, to try to destroy all the cancer cells. This treatment also kills the stem cells in the bone marrow. Soon after treatment, stem cells are given to replace those that were destroyed. These stem cells are given into a vein, much like a blood transfusion. Over time they settle in the bone marrow and begin to grow and make healthy blood cells. The next few weeks were very lonely for both Emma and Amy because during this time you are in complete isolation from even immediate family members. But unfortunately sometimes in life, you don’t always get to make choices. In April 2013, they left the Stem Cell unit with another good report from the doctors. Although the tumor was still present, it was thought to be nothing more than dead tissue. Emma and Amy were so glad to finally return to their home. Emma was finally able to make good on that promise to do a lemonade stand fundraiser for the stem cell clinic that she had talked to her mother about during their stay there. This event started out small and grew to be very large. Emma’s stand raised almost $2000 that day, and all proceeds went back to the clinic. One customer, Jim Lehmann, who followed Emma’s progress on Facebook drove all the way from Huntsville just to meet Emma, have a cup of lemonade with her and also made a very large donation. He was completely taken with her and an instant friendship was born. but overall she had a wonderful time. Although there were still regular trips to the doctor, Emma and her family enjoyed the summer and hoped their lives would return to normal. Amy began making plans to return to her classroom at Munford Elementary where she was employed as a Kindergarten teacher. However, tragedy would strike again. 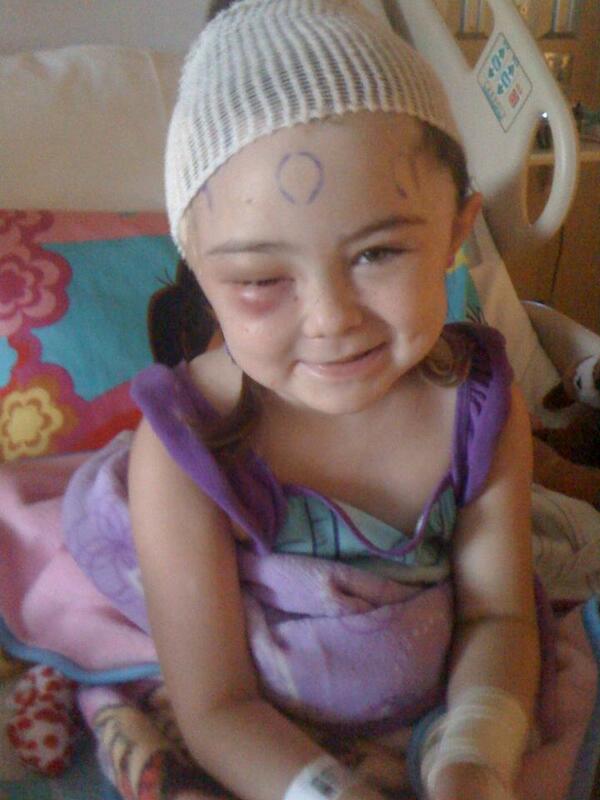 On August 16 2013, Emma had been playing when Amy noticed she had no use of her left side. 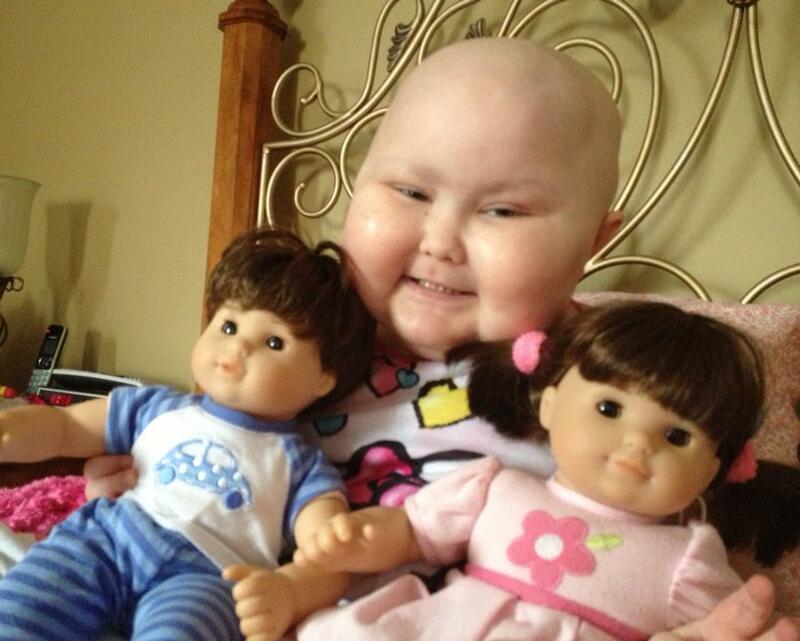 She was rushed back to Children’s where doctors soon discovered the tumor was back. 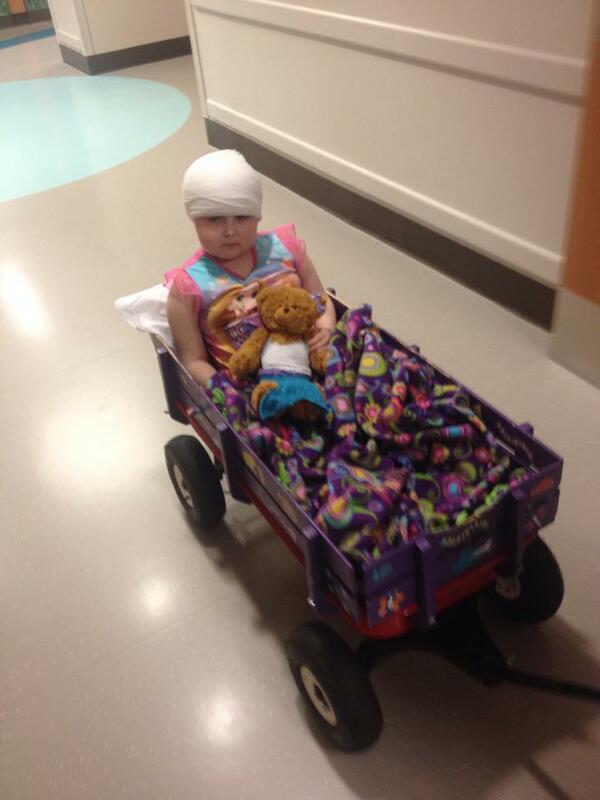 After an MRI confirmed it, Emma once again underwent brain surgery to remove the tumor. During the surgery, doctors found not just one, but three tumors; one from the dead tissue tumor they were aware of and one believed to be caused by radiation. However, it was the discovery of the third one that concerned them the most; a PNET tumor. PNET tumors contain underdeveloped brain cells, are highly malignant, and tend to spread throughout the central nervous system. These tumors often contain areas of dead tumor cells (necrosis) and cysts. Fluid surrounding the tumor is not uncommon. PNETs occur primarily in the cerebrum, but can spread to other parts of the brain and spine. Because they tend to be large tumors, symptoms of increased pressure in the brain and mass effect are often present. Seizures are common. All tumors were removed and a biopsy of the PNET Tumor was sent off to be analyzed . The results were not good. Cancer had reared its ugly head again. 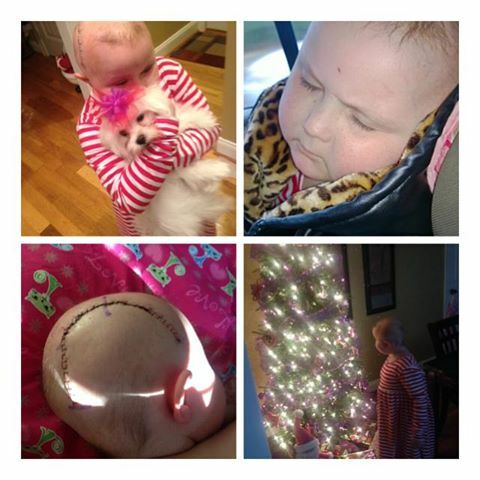 Emma had to undergo two big rounds of chemo. The first round went smoothly and consisted of split time with chemo distributed at home and during hospital stays. for her daughter which wasn’t always an easy task. Because inside, she was just like any other scared mother, who hurt when her baby hurt and fought to keep her feelings under control. Some days she would break under the pressure and cry in the presence of the very one she was trying to be brave for. Times like these consisted of a reversal of roles, when her child who seemed to be wise beyond her years would look at her and quietly say “Dry It up Mommy” or “Mommy, please stop crying, I’m going to be okay”. This beloved creature was truly a Godsend. The second round of chemo came with complications. 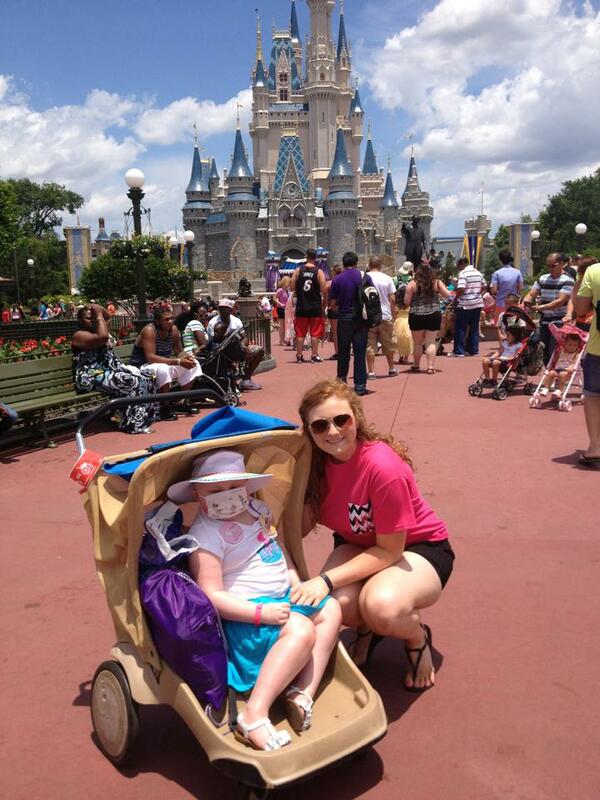 Emma began having seizures, some lasting for 20-40 minutes at a time. Doctors at first thought she might be having an adverse reaction to the strong chemo. However, the problem turned out to be a brain bleed which was much more serious than they had anticipated. 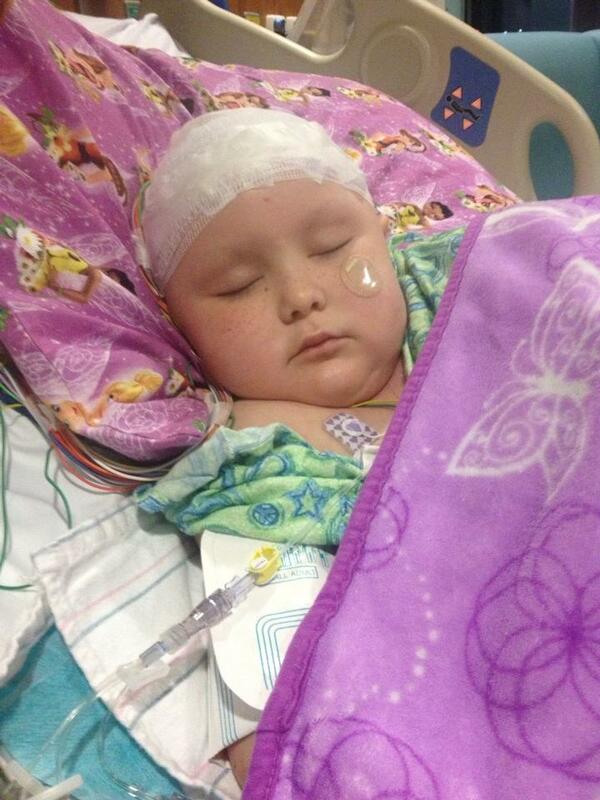 Emma was placed in the Pediatric Intensive Care Unit, where she was unconscious for a week. When she finally regained consciousness, Emma had to undergo physical therapy to regain control of her motor skills again. 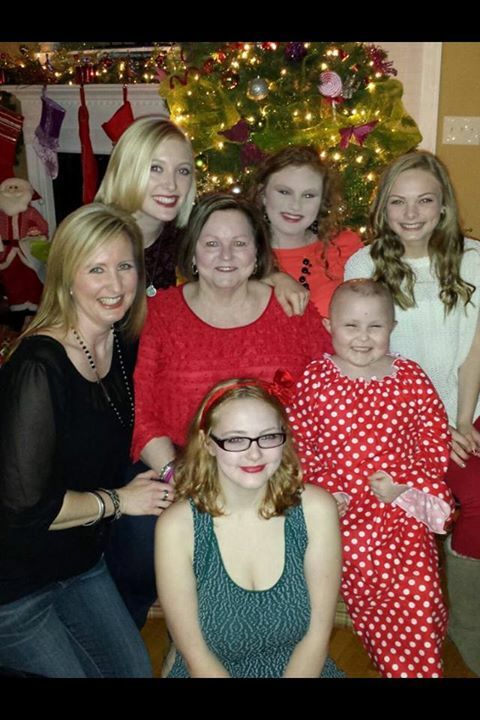 In times of need, Amy was overwhelmed with the support of her hometown, friends and family, and even complete strangers reached out to Emma in ways that she could never imagine. 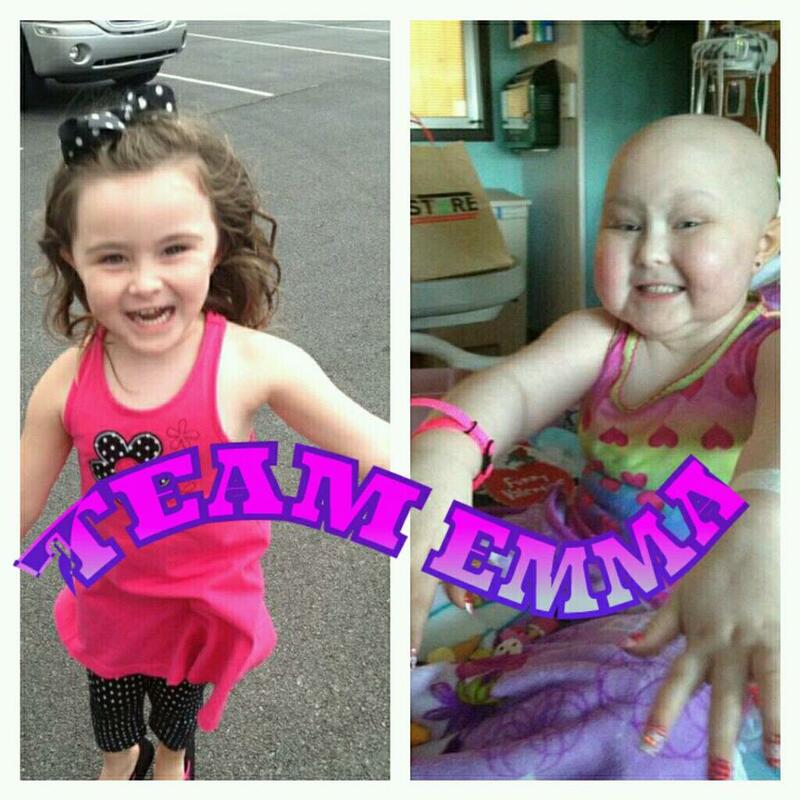 Team Emma was created held several fundraisers which has helped with travel and lodging expenses to date. There was such a large outcry on Emma’s behalf during this time that Amy could not even name how many nice things were done in Emma’s honor. For instance, Emma wanted to become a midget cheerleader at the beginning of the school year. 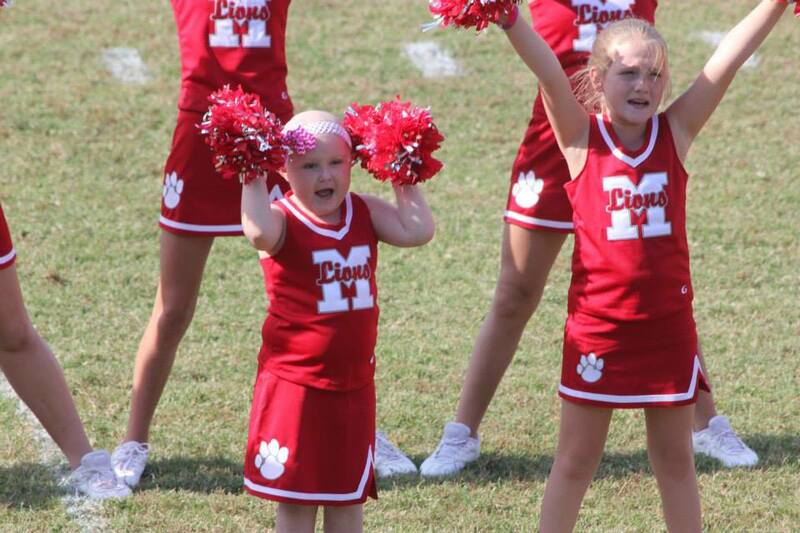 However when she missed tryouts, they made her an honorary member of the Munford Cheerleader squad. And although she wasn’t strong enough to make it but to one of the games, she still got to ride in the parade. Emma had a blast! Another lady heard about Emma’s story and knew how badly she wanted a puppy. So, she got Emma a Maltese puppy, which was perfect for her because these dogs do not shed and are hypoallergenic, but they need to be kept indoors and this was going to be difficult task due to restrictions on Emma with her course of treatment. Hearing this, another friend, Paula came to the rescue . Paula and her husband, along with his friends, employees of Coosa Valley Electric, raised money for a playhouse/doghouse for Emma and her puppy. They even went to Tennessee to pick the playhouse up and renovated it themselves. The end result was a beautiful pink princess playhouse complete with heating and air conditioning so the dog would live in it because at the time the stipulations of the ongoing stem cell were very restricted. Emma was absolutely thrilled! Over Thanksgiving, Jim, the generous lemonade stand friend, extended Emma’s family all to a Christmas tree lighting in Huntsville. He was requesting Emma’s help in the decorating the tree in her honor. He paid for the family to stay at a hotel the entire weekend and continues to stay in touch with Emma. This was a very special time for Emma and a much needed getaway for the family. spine and they were relieved to see that it had not. She is again amazing doctors with her walking and talking as if nothing has happened. With this amazing, unrelenting attitude, will Emma defy all odds once again? That’s the hope of thousands as they close their eyes in prayer for their little hero every night. Although Emma’s story doesn’t sound to be taking a good route, it is very clear that is anyone can defy the odds, this little girl can. She has defied death several times now, and has risen above every obstacle that has crossed her path. Her courage and bravery has won the hearts of thousands of people, many who have never even met her before. like any other little girl, she wants to play with her princesses, baby dolls, and her Barbies. Because this has been a way of life for Emma, she knows nothing more than being sick but she also knows exactly what she is up against. 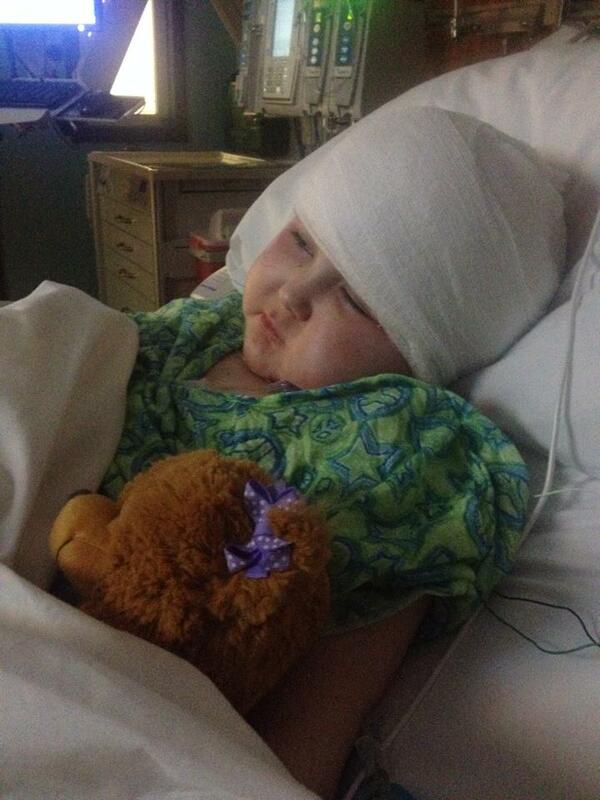 Even though there are times she is in tremendous pain, Emma never complains, unless it is that she wants to go home. She is very caring and thoughtful of others. At times, you will find her sharing her snacks with others, and making things for her friends and family. She is especially thoughtful of those who are caught up in the same cancer journey as she is. 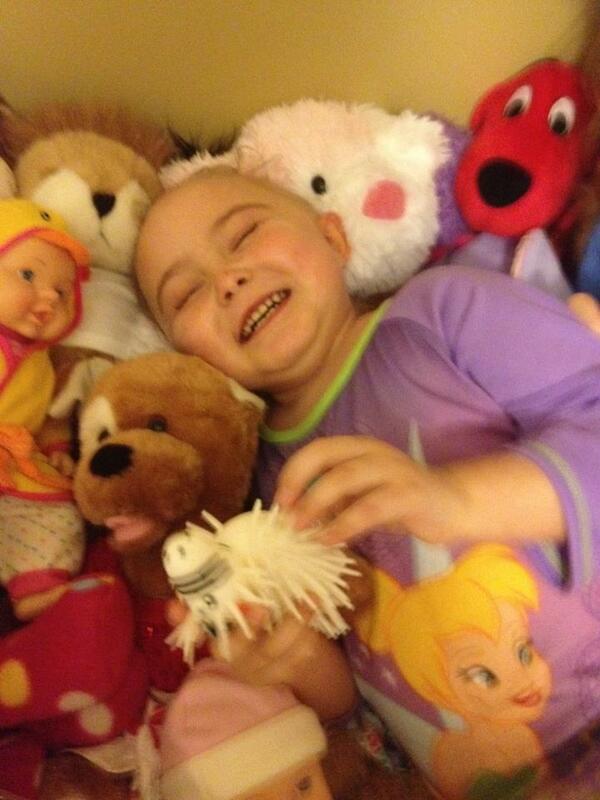 She has made several friends at Children’s who have lost their battle with cancer which has been very hard on her. 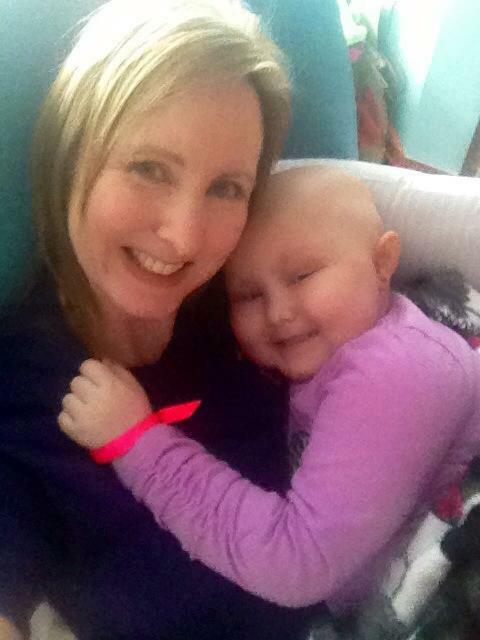 Amy has had her share of heartbreak before Emma was stricken with this deadly disease. Her mother became sick and had to have heart surgery. She lost a son in 2007, who was stillborn and went through a divorce in 2008. Also in the midst of her divorce, Amy found out she was expecting again. Emma was actually a twin, but she lost one of the babies a few weeks into her pregnancy. All of these incidents used up a lot of Amy’s sick leave, so when Emma was diagnosed, she didn’t have very much built up. give Amy another year off in light of Emma’s illness. Amy doesn’t ask what the future holds for Emma, because that’s not as important to her as the here and now. Even if it sounds bad, she knows if anyone can beat this horrible disease, it is her own little sweet warrior and she has proven it time and time again. 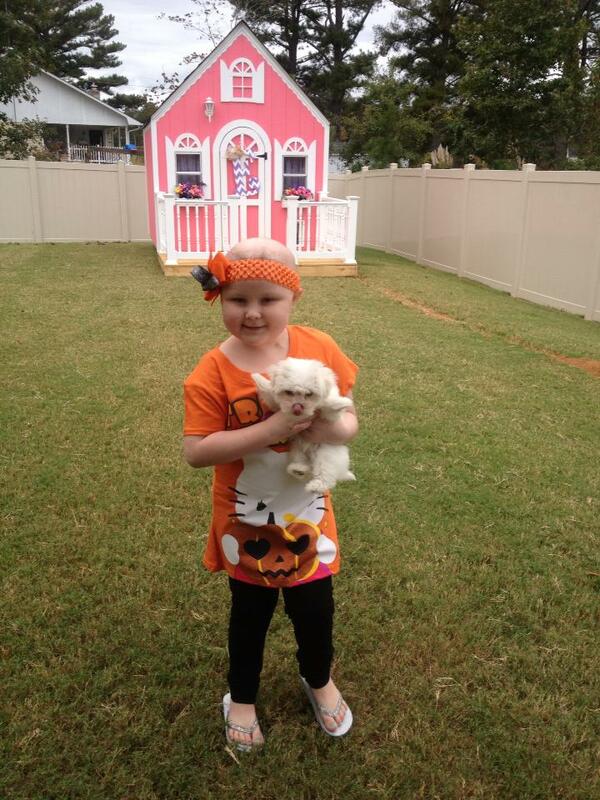 And Emma is also determined to be cancer-free. “My faith has gotten me through this. In the beginning, I admit I questioned God, but then one day it hit me. Why not? After all, look what happened with God’s son. He died on the cross for our sins, and also endured terrible pain and suffering. I just take everything one day at a time. Every day, I have made it a habit to read a daily devotion and one day a quote jumped out at me that I cling to: ‘Keeping your faith stronger than your fears’ That has become my motto because I am human and I have my fears” says Amy. season for miracles. I can’t think of any one person who deserves it more than this special little girl, who has endured more pain and suffering in her small life than many adults have. And she’s doing it all with a smile on her face. This is a nightmare no one wants to think about, but it happens, and when it does a positive attitude can be a winning factor when all else is lost. 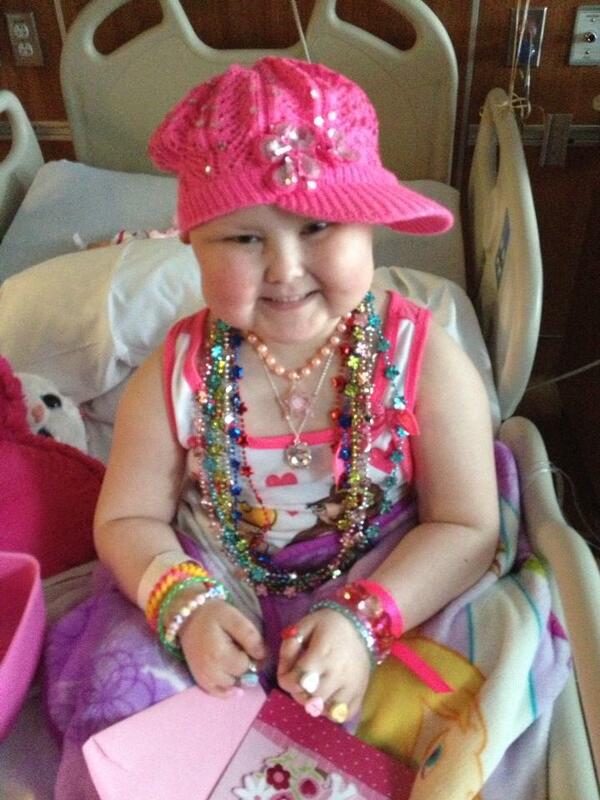 You can keep up with Emma’s journey by liking Team Emma’s facebook page. 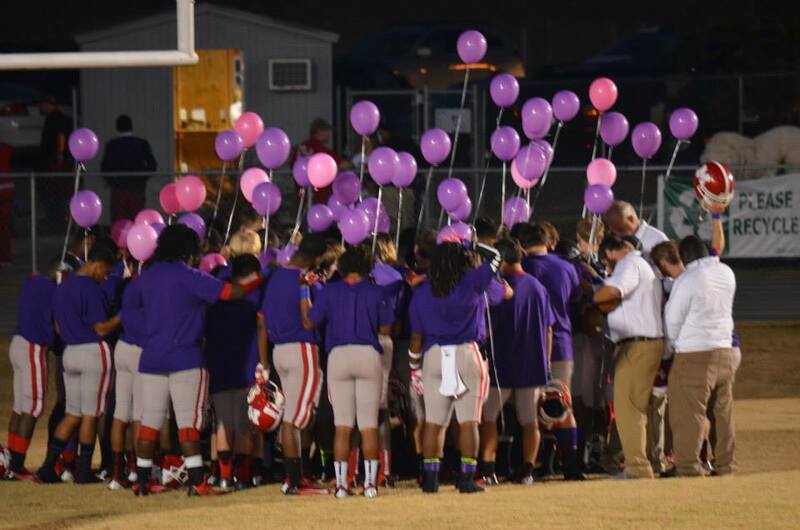 Those interested in making a donation to Team Emma or to just send Emma a card can do so at: Amy Mitchell 75 Jenkins Road Oxford AL 36203. 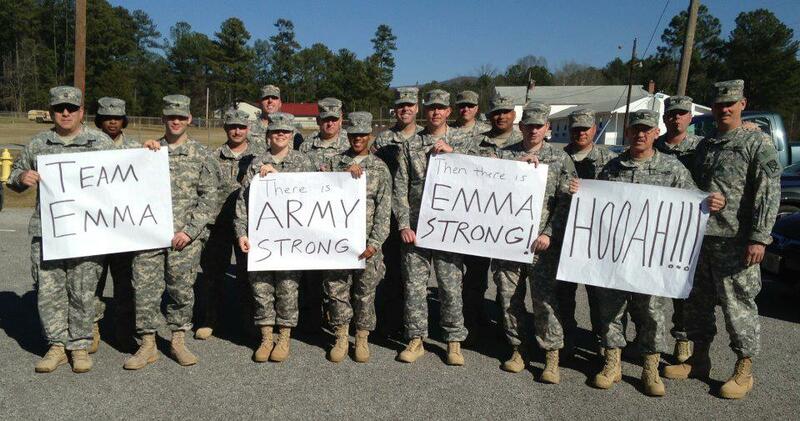 Please continue to pray for and support Emma and her whole family during this journey. I have followed Emma’s journey for a long time. This is certainly an unusual child. God has had His hand on her from day 1. I admire Amy for being strong and putting it all in God’s hand. God is surely answering prayers for Emma everyday. This little angel is a strong and more mature than her years. I am continuing to keep her in my prayers daily.. God has this!! I check daily for an update on my favorite Princess, Emma. She is such an inspiration for me. On days when I am not feeling well I think of Emma and all she is going through. She and her family stay in my prayers and also my church family’s prayers. I had the honor of meeting Princess Emma at Golden Corral back in November of this year. She was all giggles and smiles! She is just a precious blessing! God has big plans for Princess Emma and I can’t wait to see what they are! Keep fighting sweet girl, we are all behind you, cheering and praying for you! Tammy Andrews, thank you for such a amazing article about an amazing mother and daughter. You should be very proud of yourself. I follow her all the time and am so blessed to be part of this even if it is only to see her updates. Our faith is bigger than our fears. God Bless. Pingback: A recap of 2013 and it is behind us! On with a brighter, healthier year! Have a healthy, safe 2014 everyone! | Two Rights Attempting To Make A Left!